I said there was Meaham Kirchhoff inspired posts to come and her it is. Burn out prom Queen vibes galore. Though I did try not to be just a one trick pony and edge towards more Alexander McQueen and Vivienne Westwood with their organic vibes (mainly just the fishnet socks, but it does the job). 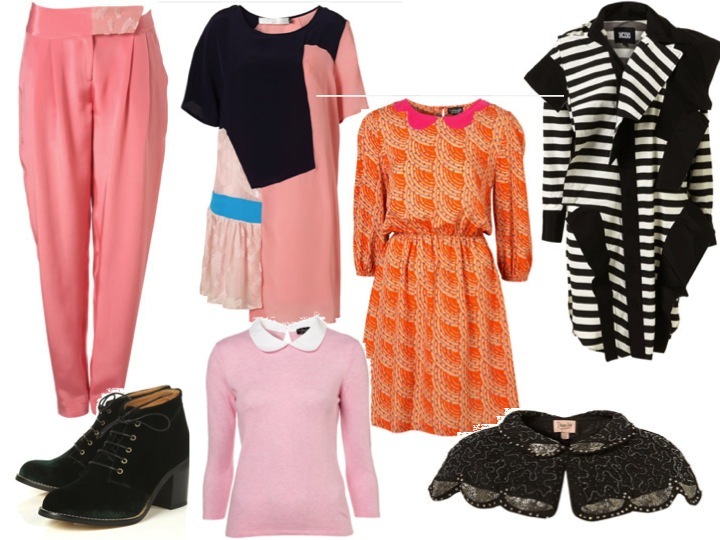 I'm a yummy colouroholic at the moment spurred on by Philosophy AW11. Not only that, just think of all the Harajuku style trends and ironic neon religious iconography. In more of a pop-culture reference, I have been listing to Nikki &the Dove all week. Her electric vibes just make you think of a candy cosmo wonderland, and life couldn't be better than that. Love the modernistic prom queen picks! That velvet dress just is so lush! Awesome outfits, give me the velvet dress!! That velvet dress is amazing! Thanks for your comment, I follow. MMMMM AT THAT BLUE VELVETY SHIRT! 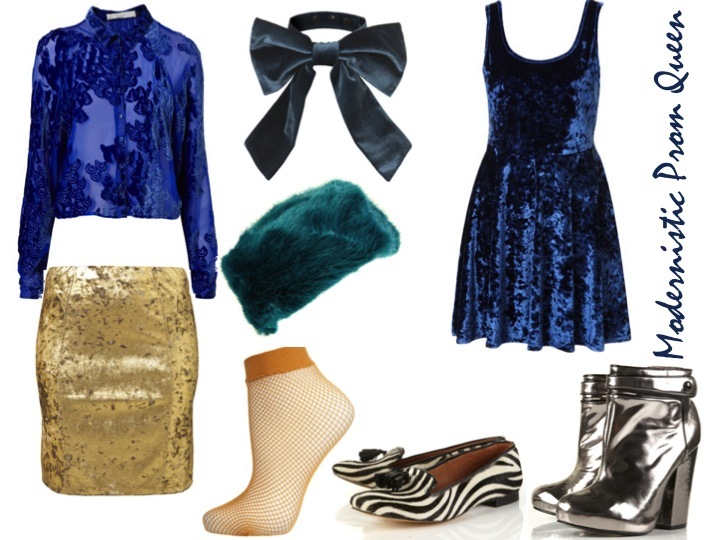 I love the blue velvet dress - adorable. And the orange one with the knit print is just so cute. So many beautiful things! Those shiny boots are amazing! love him, his stuff is really really good! gorgeous items! love the velvet dress and the silver boots!